Sweater knit cardigan has long sleeve with side pocket. Perfect a casual, vacation. 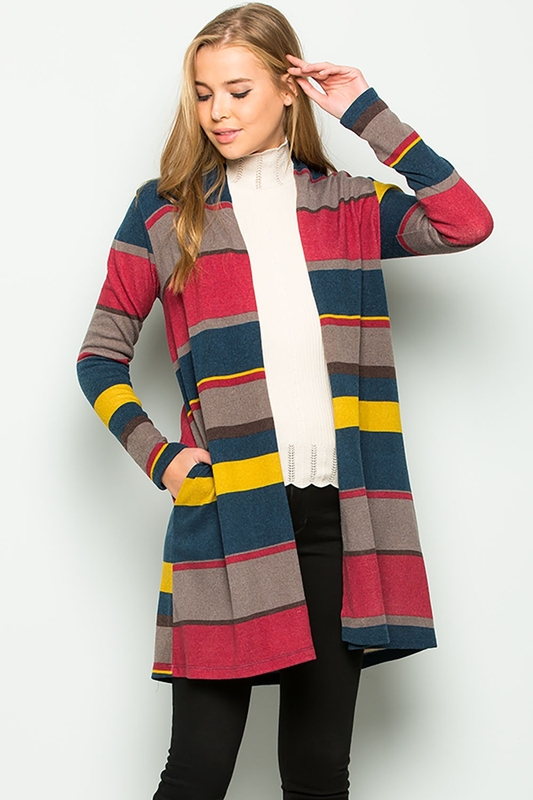 This stylish, yet incredibly comfortable cardigan.